Norway is a spectacularly gorgeous country, filled with jaw-dropping natural beauty. From deep fjords to imposing mountains, one of the best ways to experience this is from land and sea. 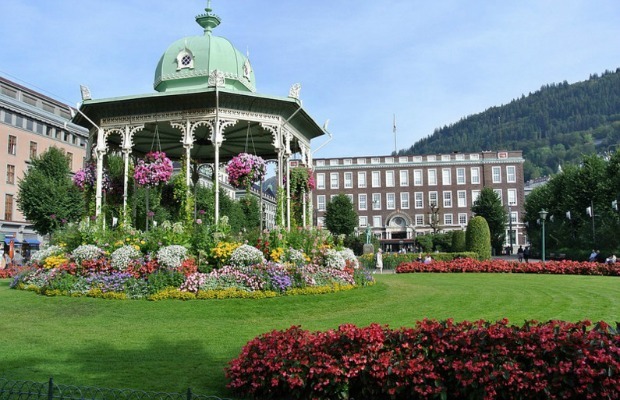 A journey that takes you through Oslo, Flåm, and Bergen via train and ferry is one of our favorites. Here's a peek at what you'll find. 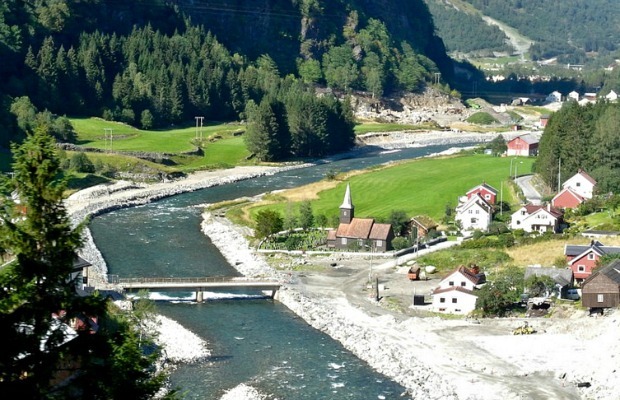 You'll start with a train ride from Oslo to the Myrdal station, where you'll connect to the Flåmsbana or Flåm Railway. Often called the world’s most beautiful train journey, the Flåm Railway takes visitors from the high reaches of Myrdal at 866 meters (2,841 feet) above sea level to the valley town of Flåm. 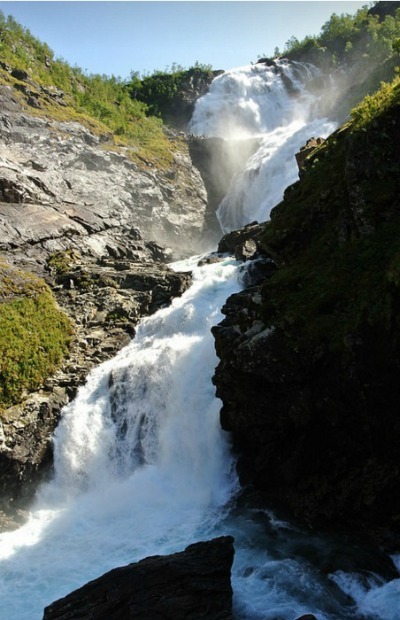 Keep an eye out for the Kjosfossen waterfall, one of the most visited tourist attractions in Norway, with a total fall of around 225 meters. The tunnels of the Flåm Railway are fascinating, providing teasing glimpses of the scenery through small portals in the wood covering. In between the tunnels, take in dramatic vistas and picturesque valley villages. 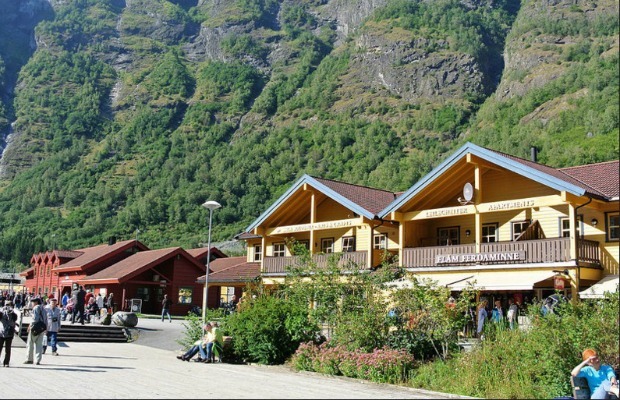 In the tiny town of Flåm -- where the train and ferry journeys meet up -- there are several places to grab good food, wander around, and soak in the beautiful fjord. 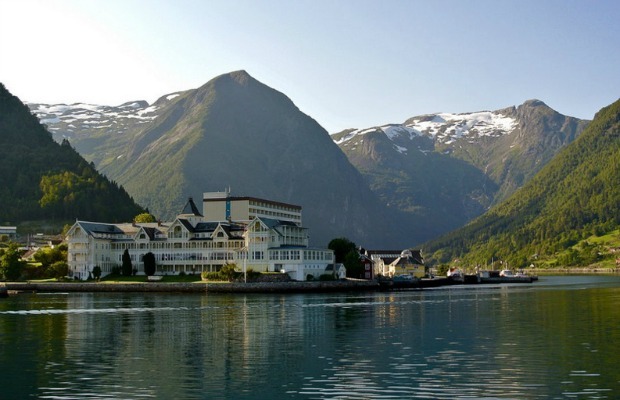 The five-hour cruise from Flåm to Bergen winds through the dramatic Sognefjord, a UNESCO World Heritage site and Norway’s longest and deepest fjord. The inner end of the Sognefjord is covered by the Jostedal Glacier, the largest glacier in continental Europe. The journey is dotted with stunning photographic opportunities, like the one above. 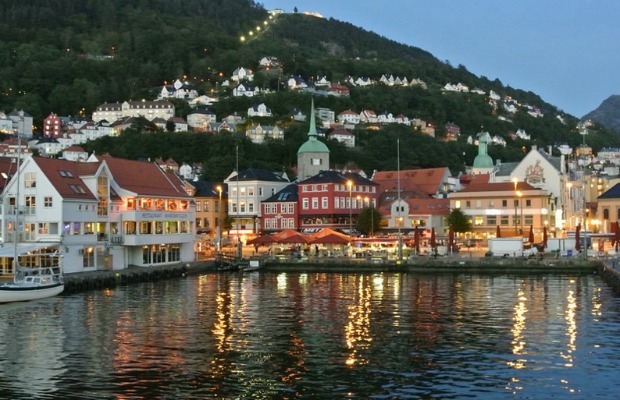 As the ferry begins to make its way into the coastal city of Bergen, the fjord narrows and more towns appear, with bridges spanning the two sides. Arriving here by water is an incredible introduction as the ferry slowly moves into port with colorful wooden buildings coming into view behind the rows of boats along the piers. If you dock in the evening, you are greeted by the sparkling lights of the port city as night falls. 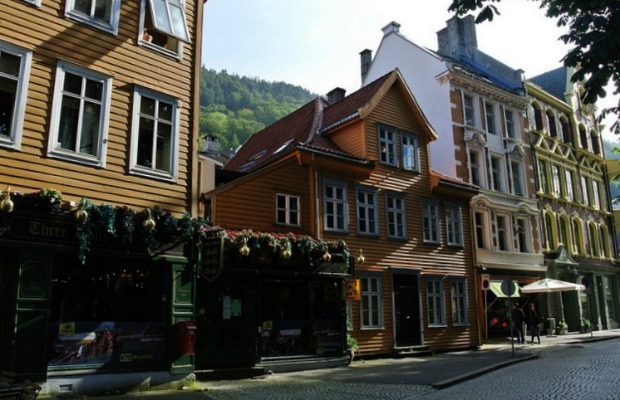 Bergen is full of delights, from the dockside seafood market to the cobblestone streets lined with vibrant, historic buildings. Here, peaceful lakes and gardens abound -- perfect for an afternoon stroll.